Man Meat BBQ is proud to introduce our founder, owner and our very talented head pit master: Mikey. 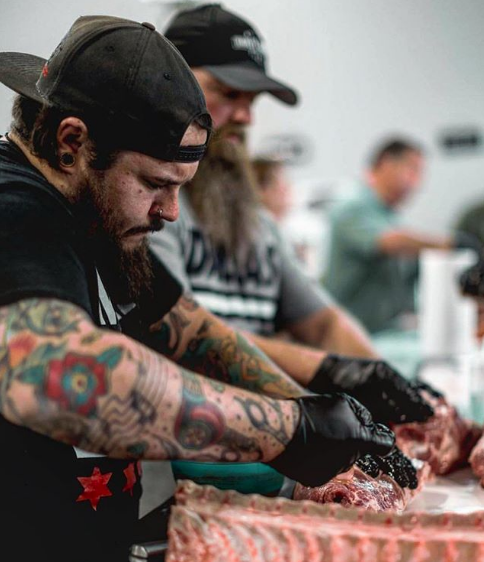 Mikey has always believed in sharing his wealth of knowledge and experience, and as a result he also gives some of the states finest BBQ classes. Be sure to join in if you are looking to learn something new. The voice behind our very popular podcast, you are sure to hear from him soon. There is nothing Amanda enjoys more than a medium rare reverse seared ribeye for lunch. Absolutely nothing. Well, maybe a medium rare reverse seared ribeye for dinner. Amanda’s love for barbecue stems from the unique ability of this wonderful craft to bring people from all walks of life together in celebration of food and culture. She has a fondness for creating her own unique dishes on the grill, and is an expert when it comes to really delicious baked goods and desserts. 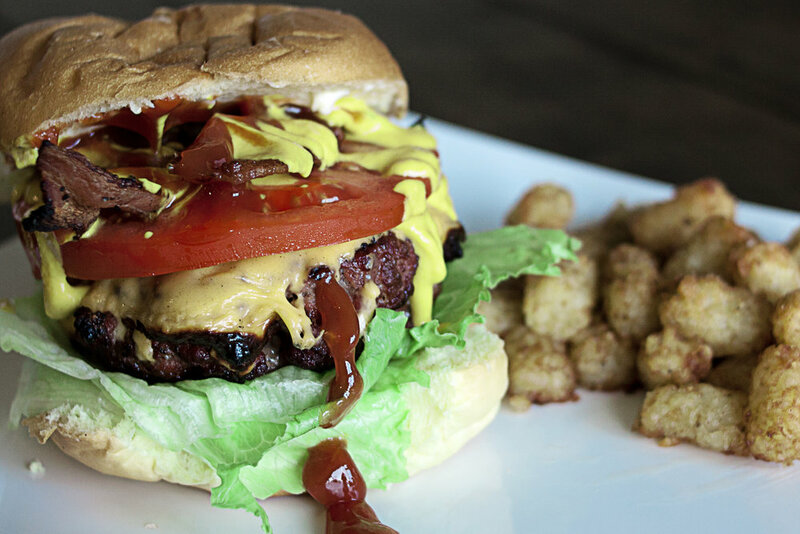 Amanda’s barbecue journey so far has been short but highly fulfilling. She is still new to the world of barbecue but with the help of MMB she soon expects to be a pit master on her own right. Currently heading the email and booking, you can expect to soon see excellent work on all things barbecue. Cowboy is not a nickname you would expect for a guy from New England, but he isn't your typical New Englander. Born and raised in Connecticut, Kevin started cooking as a small child. His mom taught him how to fry, roast and bake. Soon he started working at his family's power equipment shop. This also brought him to grilling, as it was his job to cook lunch on Saturday’s at the shop. He would constantly try to cook different and more elaborate things on the grill. As a teenager, Kevin joined the Fire Cadet program for his town’s fire department. He joined as a full member of the department the day he graduated high school. As a fourth generation volunteer firefighter, he had a love for flames. When he moved into his first house, he received a large four-in-one grill with a smoker as a house warming present and was soon hooked on BBQ. Most weekends you could find him with his big ol’ cowboy hat on, tending to the smoker. Then the competition bug hooked him and Wile E. BBQ was born. With help from his wife and friends he competed in his first comp and never looked back. 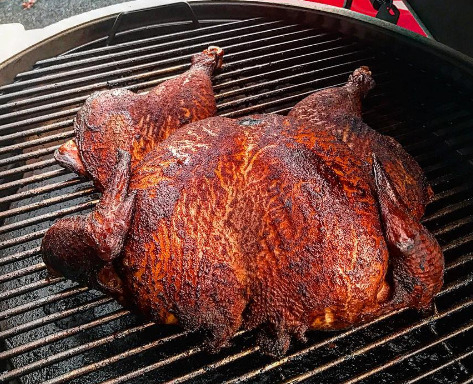 From building his own pits to cooking on some amazing rigs, Kevin looks for every chance he can to start a fire and to help teach others the art of BBQ. Who is Pipes? Pipes is sometimes a podcaster, sometimes a blogger, and sometimes the man behind an amazing new website. His newest passion is BBQ where he dives in and tries to learn the ropes while bringing you along for the journey. Growing up, he had limited exposure to true BBQ. Grilling meant throwing some meat on a gas grill and cooking it until it was gray. Now as a parent, he is determined to be able to BBQ with friends and not be ashamed of the food. Armed with his broken down craigslist kettle and whatever he can steal from Mikey, he learns everything from how to light charcoal to how to create a real BBQ cook. While he is still learning, he cannot point to a favorite meal cooked on the BBQ. Instead, he will always direct to his beverages of choice while cooking, which are The Champagne of Beers - Miller High Life and some Ole Smokey Moonshine.